​Donations make our music possible — from concerts that thousands of people enjoy, to education and community programs that share symphonic music with people of every age and background. And there are many ways to support the music and musicians you love! 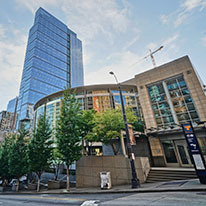 ​Additional ways to support your Seattle Symphony! Employer matching funds increase the impact of your gift and may also increase your donor benefits. 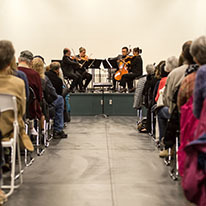 A gift of stock supports the orchestra while providing unique tax benefits to the donor. If you're 70 1/2 years of age or older, you can donate through a tax-free transfer from your IRA. Donating a vehicle to support the Symphony is easy and convenient. Giving through your Donor Advised Fund provides favorable tax benefits. Join our dedicated team of volunteers who support the Symphony. When you make a gift through your estate you provide invaluable support to the Symphony. You can support the Symphony every time you make a purchase at Amazon.com or Fred Meyer. The Symphony welcomes tribute gifts made to celebrate family, friends and milestones, or in memory of loved ones.